Betfair is a high-street brand with plenty of worldwide recognition – but how is their online casino site? It’s a little different to what you usually expect, with games split between Casino, Arcade, and Exchange. Read through our Betfair Casino review for plenty of positives, although there are one or two issues for you to know about too. Compared with other UK bookmakers, Betfair’s establishment in 2000 is relatively late – yet those 19 years in operation have seen the brand explode to become one of the most popular. They’ve got a massive range of gambling entertainment, with the pretty spectacular Exchange Games forming a completely new way to experience classic table games. The Professor’s verdict? A bit mixed, but decent overall. It’s frustrating that you can’t use e-wallets (such as PayPal, Skrill or Neteller) to activate the offer, and the maximum cashout of £500 is slightly disappointing. On the other hand, the x35 wagering on the bonus is pretty standard compared with other casino sites. So, if you were to take this £50 bonus, you’d need to wager it a total of £1,750 before it could be withdrawn. Use the Professor’s handy wagering requirements calculator to see for yourself. Yes – You need to sign up using a special Betfair promo code in order to claim this casino bonus. Aside from the welcome offer above, there are Betfair offers for Casino, Arcade, and Exchange Games that can be found. As these are subject to change frequently, the Professor couldn’t list examples within this Betfair Casino review. However, seasonal casino bonuses – such as at Christmas or Easter – are expected. None are set in stone with rigid promotions. However, they’re well known to be offered for the many slots and games. At the time of this Betfair Casino review, they claimed to house over 400 different casino games and slots. While this isn’t the most extensive collection the Prof has ever seen, it’s a marked improvement from where Betfair was a few years ago – which was a very sub-standard offering. That’s because Betfair’s software is powered by many top game providers. But where to find them? Strangely, they’re mixed between Casino and Arcade. You’ll find Playtech games – slots, classic, jackpots and more – under Casino. Yet, for NetEnt, Blueprint, Red Tiger Gaming and others, you need to transfer over to Arcade. It’s odd, but something that’s often seen at UK bookies. Another that has its own dedicated section is Live Casino. But the real standout at Betfair Casino is their Exchange Games. Their sportsbook exchange has proven to be an incredibly popular alternative to traditional betting, so how does it all work with Exchange Games? They describe it as though you were standing on the edge of a crowded table, placing bets on who you think will win. Only classic games such as blackjack and roulette are open to play, as you’re not actually playing them yourself – rather, taking a punt on what you think the outcome will be. Even better, you can get dedicated Exchange Games bonuses to use, alongside cash tournaments and leaderboards for extra prizes. 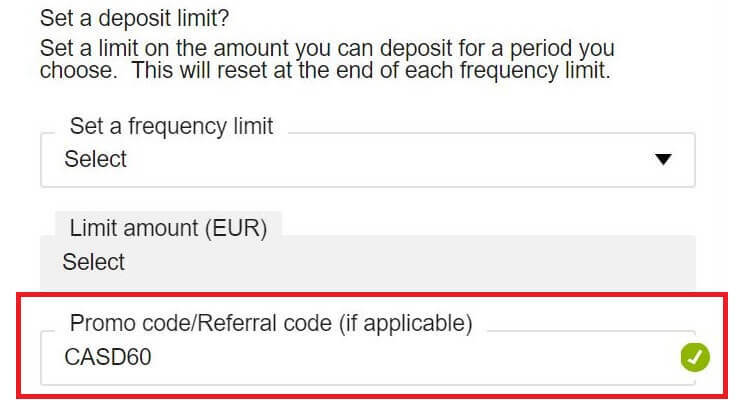 Being such a worldwide name, it’s no surprise that Betfair have numerous deposit methods open for use. A few examples for are Visa/MasterCard, Skrill, Neteller, Paysafecard, and bank transfer. However, there may be more localised/specialised options depending on your location – such as Instadebit and Apple Pay. And a real plus point on our Betfair Casino review? They’re a casino that accepts PayPal! How long does a Betfair withdrawal take? It can be anywhere between 12 hours and 5 working days – depending on several factors and your chosen withdrawal method. Let us explain. Before you can take out any winnings, your identity needs to be fully verified. Often this is done automatically, but you may also be asked to provide additional documents – such as utility bill, bank statement, driver’s license or other. The above is also available at Betfair mobile casino too – bonuses, payouts, offers and games – including Live and Exchange Games. Your smartphone/tablet web browser should be more than capable of handling the technology, while there are several menus and sticky bars to make navigation on these smaller screens simple. Yet, that’s not the only way to start playing. That’s because a host of Betfair apps have been developed to supplement the traditional mobile site. 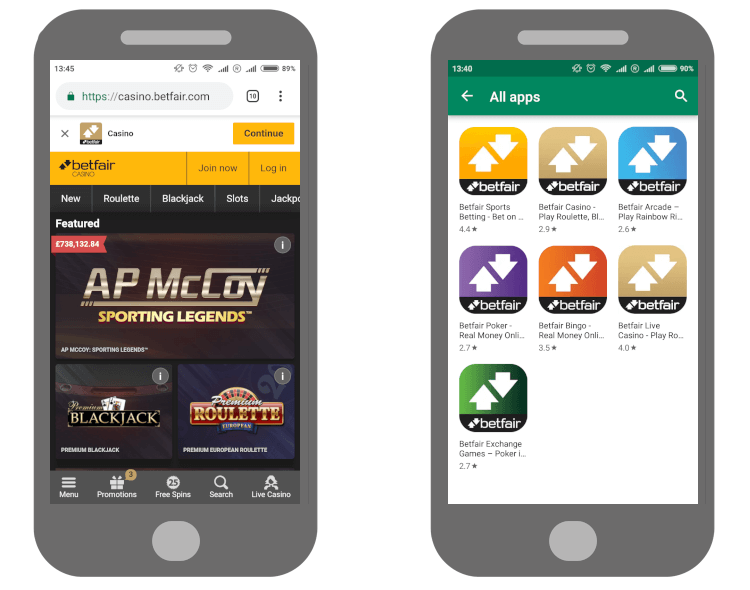 Rather than create a one-for-all solution (probably due to the sheer amount of options they offer), there are many different apps for Betfair gambling – based on their core areas of Casino, Exchange, Live Games, Sportsbook, Poker and more. There a Betfair Android app plus one for iOS too, from the Play Store and App Store respectively. Being one of the biggest names in the UK bookmaker industry, Betfair Casino are one of the strictest when it comes to safety and security. Betfair are owned by parent company Paddy Power Betfair after the two entities merged in 2016. They deploy strong SSL encryption for your sensitive information (certified by Norton) and two-factor authentication to protect your account. But how do they stack up on the player side of things? To even be able to offer their services to players, all sites need gaming licenses. In this case, Betfair Casino have acquired their very own license (not just a generic one under their parent company) from both the UK Gambling Commission (UKGC) and Malta Gaming Authority (MGA). These are two of the most common and are highly respected certifications. For even more assurance, Betfair Casino’s UKGC license has no recorded sanctions which is great to see. UPDATE: Starting from 1st January 2019, Betfair were one of the select few who managed to attain a gambling license from Sweden’s Gambling Authority – Spelinspektionen. Betfair’s customer support services are available using several avenues. Live Chat – although, disappointingly, you’ll need an account to do this. No email account is a bit strange, but they’re really trying to go modern-day with social media profiles that are dedicated to customer service. However, support isn’t 24/7 – so it’s a bit of a stalemate for this part of the Prof’s Betfair Casino review. Unfortunately, not everyone is able to sign up. There are quite a few restricted territories/countries, with some of the most major being: Turkey, France, Canada and India. A few years ago I’d have laughed if you said I’d be calling Betfair Casino very good, but they’ve really turned a corner. Not only have they brought the games and promotions up to scratch with other online casino sites, they’ve actually gone further with the introduction of the unique Exchange Games. This feature gives you something you can’t find elsewhere, and essentially brings back the classic bet-behind tactic. Of course, there are one or two downsides – but when doesn’t this happen? In my opinion, they’re well worth a go! Agree? Or am I wide of the mark? Drop me your Betfair Casino review below to let me know.